1: Team comes together at 6 pm for the meeting (some people don’t get chairs but no one complains); everyone comes ready to listen. 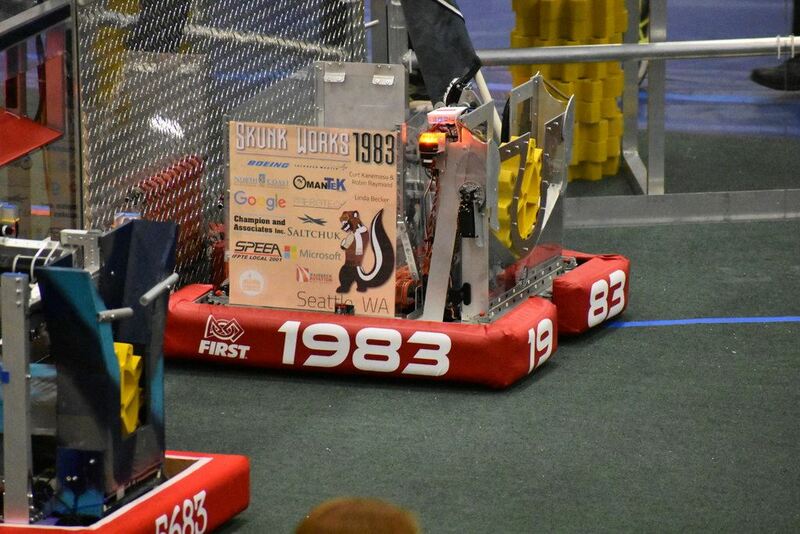 4: Team leads, the coach, and alumni talk about the team’s current agenda moving forward with finishing the robot. 5: Everyone leaves to go to their sub-groups and do their specialized tasks. I am new to robotics, so most of it goes over my head. 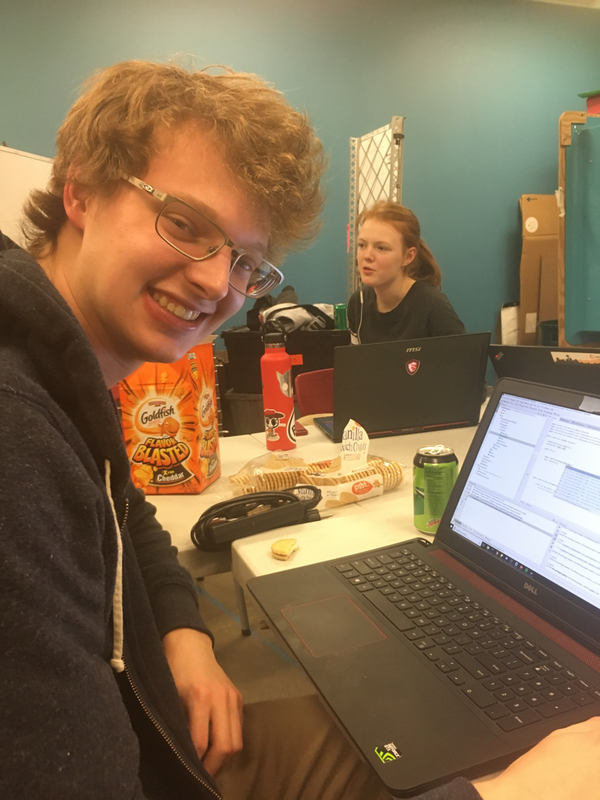 The coaches and team leads are willing to help me when I am confused about what was talked about in the meeting, and they help me meet my deadlines in robotics. 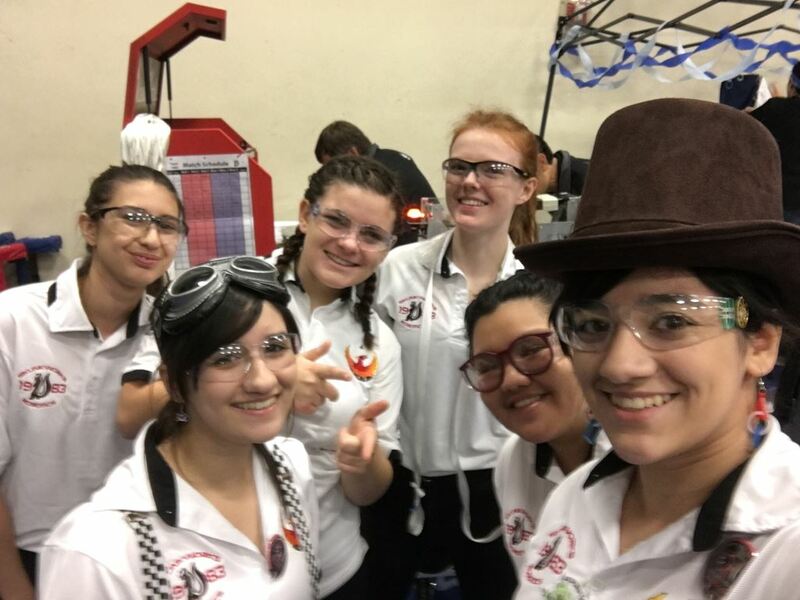 In robotics, I have learned not only how to program, but also have helped the team raise thousands of dollars during the spaghetti dinner and met new people, making new friends. A little over a week ago our team attended the kick off event at Auburn High School. The event was fun to watch and informative at the same time. This year’s theme is Destination: Deep Space. Essentially, the object of the game is to fill up at least one rocket to earn a ranking point. After watching the live stream, the attending teams split into different room and discussed the rules with each other. This was helpful for improving our knowledge of the rules. Later in the day, our team came together to discuss the rules and the game itself. We then broke into groups to make a presentation on each section of the game manual because it is HUGE. The teams then presented their assigned section. Kick-off day was really useful for preparing for build season and learning about the new game this year. Right now electrical is working creating a controller, which is awesome since it goes with the Power Up theme. Demian might incorporate this game controller to the competition and robot itself for his own testing and for a flashy photo shoot. It connects through USB so its functionality will be virtually endless. From soldering to wiring, this controller is coming together, slowly but surely! Hey there! It's your marketing team here with an exciting update! Our subteam has been working on finding creative ways to express our ideas through media. The first thing we've tried out are filming and putting together short videos that help to hype up anyone who's viewing our pages. Another is stop motion. 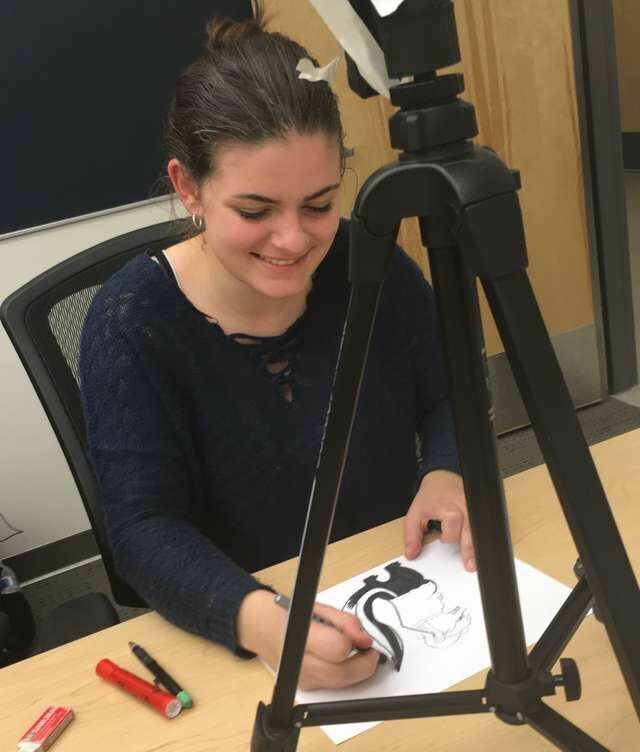 Stop motion is hard to master since we need to make sure everything we record fits within the frame at the right angle, but it's been an extremely fun format to work with! We can't wait to explore even more ways to share our team with the world! 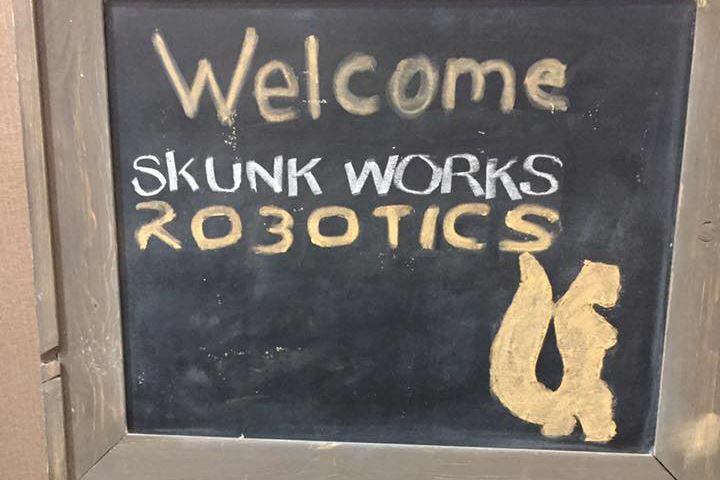 We are creating the first ever Skunk Works handbook, by reviewing other amazing teams guides. This year we received a lot of new members, and to ensure everyone has a good understanding of what it takes to be an active member of the team. We're also prepping for the Girls and Boys Scouts Clinic Merit Badge we have plan for early December. Being active members of our school community is very important to us, so we are planning to connect with other school teams to develop school events. We've also begun planning our business outreaches through new member connections and our letter writing campaign. Girls Generation Competition was a fun and exciting event! We got into the finals with the amazing team 3238 and 4469, with congratulations to team 360, 3218, and 5588 for winning the competition. Many thanks to all of the teams who welcomed us from the moment we stepped into the room! Seeing girls take charge this year is incredibly inspiring, and we're confident the robotics community will continue to make strides in STEM in the coming months, years, and centuries. We received a warm welcome from the teams in Boise, Idaho! When we made it to our hotel rooms, we noticed that they wrote a special message for us beforehand. It comes to show how awesome the FIRST community is. Once we made it to the competition, we fought long and hard. The teams in this area were absolutely amazing when it came to their robots and driving skills! We kept running through the matches and all of the interactions we had there with other people made this an incredible competition. Thanks Idaho!